WMG at the University of Warwick will be lending a hand to budding young engineers from The Richard Crosse C of E Primary School in Kings Bromley, Staffordshire, in their quest to build and race their very own electric kit car. Class five at Richard Crosse won a competition run by the Advanced Propulsion Centre (APC) to become one of eight schools presented with a Greenpower Goblin kit car. Each winning school is partnered with an APC Spoke - in this case WMG, who will offer guidance and support to the students. The children, aged 9-11, have been given an electric kit car to design, build and race - guided by their teachers and WMG mentors. Once complete, the children will compete against each other in a regional Greenpower IET Formula Goblin race in summer 2018. Formula Goblin has been set up with help from the Greenpower Education Trust to address the skills gap that is growing in the UK automotive industry by engaging students in engineering at a young age. It is designed to engage students with maths, science and design technology in a fun way, promoting equality regardless of economic background and gender. Paul Lovern, Executive Headteacher at Richard Crosse Primary School, said: "I am thrilled that our school has been chosen to take part in Formula Goblin. The children and staff are extremely excited to take part and can’t wait to get building. We are looking forward to developing the children’s engineering skills and creating budding engineers of the future. A huge thanks to all involved and a special thank you to WMG." The initiative is supported by the Engineering and Physical Science Research Council, the APC and the APC Spoke Community, made up of six of the UK’s leading universities each focussing on R&D of key technology areas in the automotive industry. The APC and Spokes, including WMG, will provide financial support and mentoring throughout the electric vehicle build along with driver training ahead of the race. The APC is a £1 billion, 10-year programme to position the UK as a global centre of excellence for low carbon powertrain development and production. The APC Spokes form a national network to support industry with specialist academic, technological and commercial expertise. The Spokes are designed to provide access to the best expertise and facilities the UK has to offer in key strategic technologies for the automotive industry. Each of the Spokes is hosted by an organisation with recognised expertise in those key technologies, but the fundamental role of the Spoke is to coordinate a community of common interest. WMG at the University of Warwick is the Electrical Energy Storage Spoke. 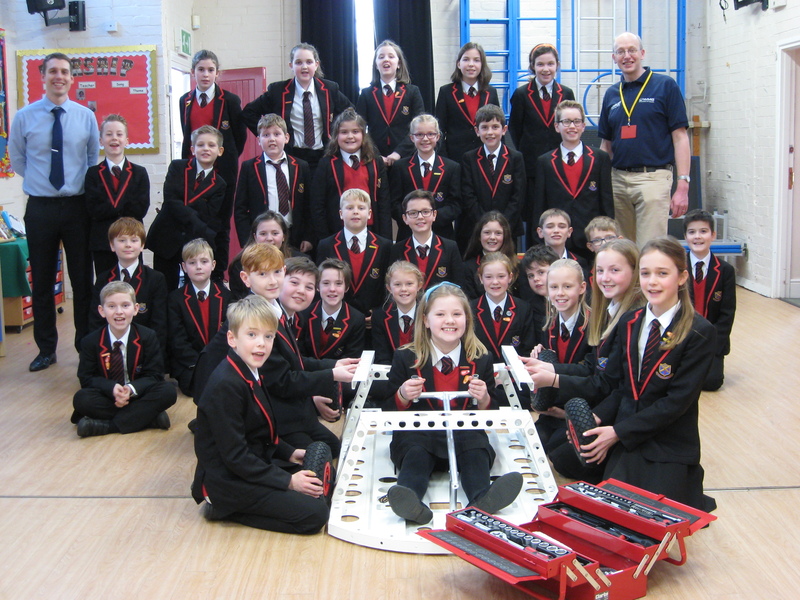 Image: Class five at The Richard Crosse C of E Primary School and Dr Antony Allen from WMG (far right) with the frame of their kit car - credit WMG, University of Warwick. Click image for high res.